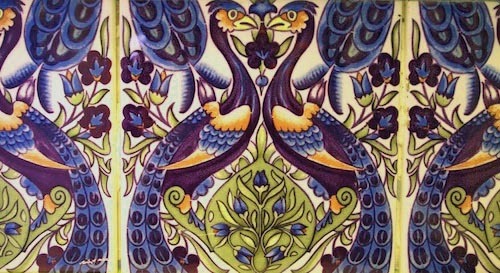 A favourite bird motif morphs into a ??? I have been having a serious clear out of cloth. I am trying to be disciplined about this. I am attempting to organise all my work materials so there is studio space that is conducive to work and not one that is so chaotic it drains me of all my creativity. 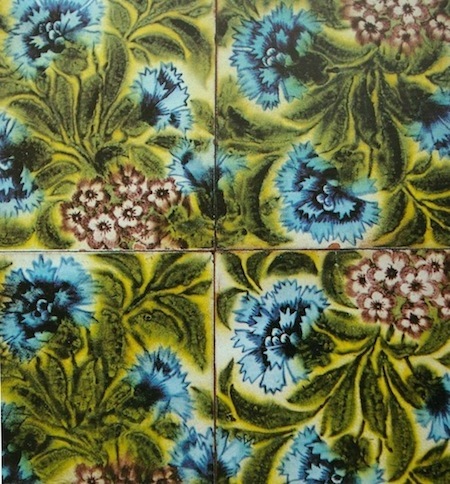 During this protracted endeavour I came across some of my old silk work. In the photo above there is a bird hidden within all the colours. The original idea came from a medieval bas-relief bird I photographed on a visit to a cathedral (possibly in Germany, but it could’ve been in France) a couple of decades ago. In my memory it was always Speyer Cathedral on the Rhine. However, I have just Googled Speyer and though the magnificent 11th century Romanesque church is the building I have in mind’s eye, I can’t imagine where I thought this bird was ‘perched’. Strange how our memory plays tricks with us, isn’t it? Anyway, I can now see that my ‘stork’ and ‘heron’ phases had a long forgotten forerunner lurking somewhere in Europe. 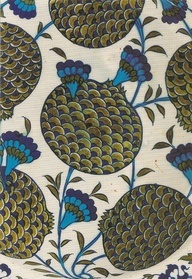 Of course, a freehand one-off motif once designed doesn’t remain fixed for very long. Over time my bird motifs have lost most of their definition and morphed into little more than blobs with spikes! Might be time to track down my old photos and revisit the original ideas and try working up a new motif or two from the primary source material. I haven’t unpacked either box marked ‘photos’ yet, but I am hoping that I didn’t bin them all the last time I had one of my ‘once every 10 years’ clear outs. Author agnesashePosted on February 22, 2018 Categories Silk, workingTags bird motif, birds, creativity, inspiration, memories, memory, motif, studio, working space5 Comments on A favourite bird motif morphs into a ??? The other evening I was lucky enough to attend a UK preview of the biopic ‘Steve Jobs’. It was a marketing event preview and the cinema was absolutely full. As the film ended the final shots were accompanied by the dramatic yet plaintive Maccabees’ song ‘Grew Up At Midnight’ and there was a palpable stillness about the audience as the credits began to roll. It was strange as the film ended at what is considered a successful point in Steve Jobs’ life and long before he died. Of course, it is possible that many in the audience were sitting there recalling those painful photos and video footage showing the terminally ill, emaciated Steve Jobs. It is also possible they were surprised by such a negative portrayal of Jobs, or they were just plain confused (if they knew anything about Jobs) by the audacious inventiveness of the script. 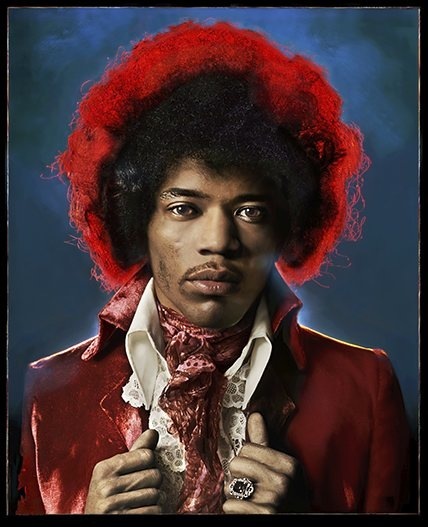 Perhaps four years after his death is too soon for a considered, truly insightful biography let alone a Hollywood biopic as most of the protagonists are still living and Jobs’ life was most definitely controversial. This film is based (rather loosely) on the Walter Isaacson biography which I read in the summer. The biography was not popular with the fans, but it was the ‘official’ one written at Jobs’ behest with a fair amount of access to some of the key players. However, as with any biography there is never a full picture. How can there be? No human beings have complete recall and as psychologists have shown we readily rewrite our memories to suit our own story. I think Steve Jobs knew more than most about contemporary myth-making. 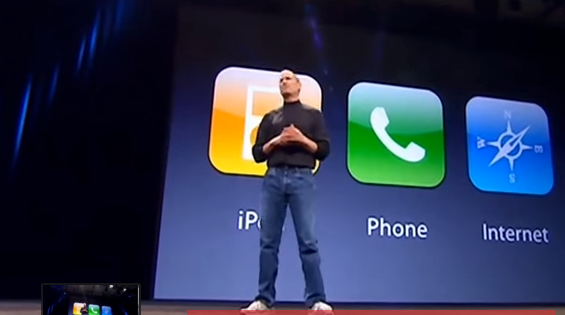 Isaacson tells us that Steve Jobs’ colleagues at Apple often referred to Jobs’ “reality distortion field”. It is as if by sheer force of will he projected his reality and attempted to pull everyone into it. Isaacson’s book has over 600 pages to get to grips with his complex, mercurial subject, but the Danny Boyle/Aaron Sorkin film has only a couple of hours to take a pinch of Jobs and grind it into a spicy biopic. What are we looking for? A drama that distils the essence of such a life. A tall order to achieve when that somebody was at the centre of so much technological excitement, yet shots of fingers at keyboards and beige plastic boxes isn’t that interesting. So, as with real life, it’s the people, the business and personal relationships that are the drama. You may love your phone, but it’s still just an iPod, a phone and an Internet communication device! A means of connecting with other humans. It’s the human interaction that matters. The film gives us an interpretation of one facet of Steve Jobs by focussing on the behind the scenes, backstage preparations for three different famous product launches. Sorkin, who wrote the screenplay, didn’t just read Isaacson, but also interviewed and re-interviewed some of the major players. We are shown taut often confrontational adult interactions between Jobs and his colleagues whilst a continuous family thread relates Jobs’ difficult and awkward dealings with his eldest daughter, Lisa. There are plenty of ‘walk and talk’ scenes, frequent opening and closing of doors and shots of long corridors. One sequence shows a corridor as if it was a screen showing video footage. Perhaps these are all visual signifiers for opportunities taken or not taken and the long, long hard road to success. The film gives us a one-sided, less than pleasant Steve Jobs provoking fear and confrontation in colleagues, but sadly does not give us any hint of an inspired, passionate, creative dreamer. Remember this is a dramatised retelling of a controversial life and apparently many of the scenes are less about biography and more about dramatic film-making. And, this is the major problem for biopics the sacrifice of authenticity in order to make a watchable movie. Altogether, I think it’s worth seeing, but I think something is missing. I can’t explain why, but perhaps it is something to do with that driven quality that true game-changers have which, even when played by a star like Michael Fassbender, can’t be captured. Persistent, energetic, awkward, obsessive, determined, supremely secure in one’s own judgment and ability may not make for the most charming individual, but appear to be essential to the mix for those who wish to make an impression on history. There are plenty of videos on YouTube showing the real Steve Jobs from about 1980 onwards. Each one is his version of himself for that moment. Who are we, the watching public, to know or understand his life simply by owning an Apple product? Nobodies. We read biographies and watch biopics to find out more, but we should remember not all the players contributed and those that did may not agree with any subsequent reinterpretation of their memories by authors, directors or screenwriters – biography is a very, very slippery affair. Final thought . . . not really possible to do justice to such a life in just two hours. The last time I reread A S Byatt’s fascinating novel ‘Possession’, I chose to read it in November. During the course of the story the Victorian heroine, Christabel, visits her relatives in Brittany arriving in the Autumn. So, A S Byatt informs us that the Bretons know November as the ‘Black Month’. Well, so far this November in East Anglia the weather has been very grey, very gloomy and very grim. Even the chilling north-easterly wind cutting across the reed beds of the Norfolk Broads hasn’t shifted the blanket of grey cloud. It’s miserable so I’ve found some old photos taken in the searing heat – the Middle East, Spain in August and a London Studio (??!!! ), well it looks hot. 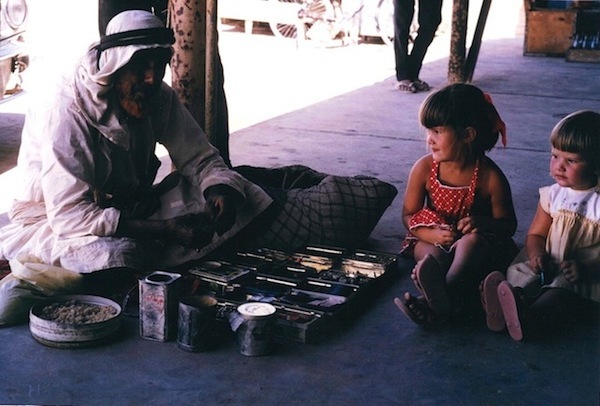 My sister and I as little tots in the shade, Fahaheel Bazaar. 13 years later hot summer evening Altea, Spain. looking so hot he looks on fire! Ah yes, the ‘Black Month’ nothing to do with this month’s Internet gift shopping, but it is interesting how words have evolved new meanings with international resonance in cyber space. 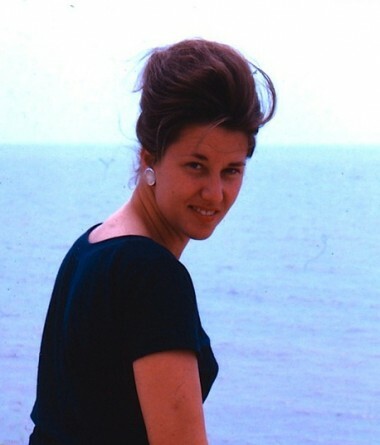 My mother on the beach – 1962. Sometimes we don’t appreciate the moments we are living and then with a blink of an eye they’re gone. We are lucky in our family as my late mother agreed to be the ‘star’ of a 3 minute video filmed by one of her grandchildren as coursework for a school exam. 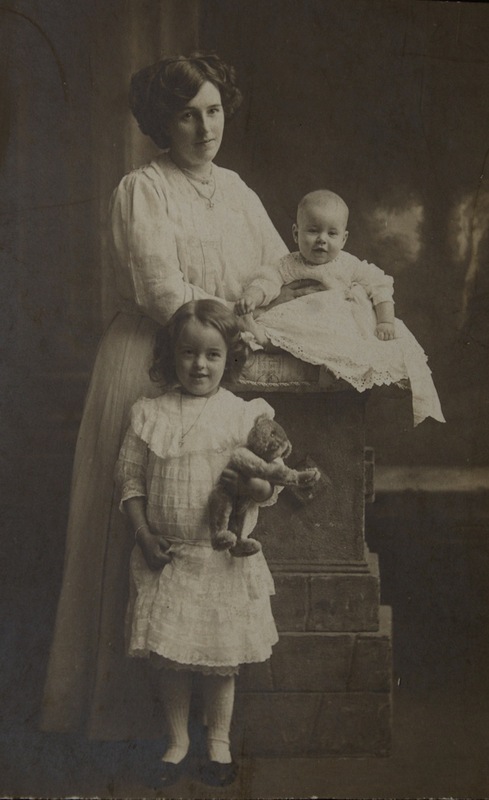 My mother’s granny, Clara, with her children – 1912. I remember my mother saying to me that she was the last person still alive who could remember her Granny. Like many families we have old photographs some even of our Victorian relatives, but now with videos and YouTube a moving, talking memento is captured and shared. It brings a new dimension to memories as individuals along with the film-maker actively curate their lives. But there is still space for a single shot to capture the essence of the person. 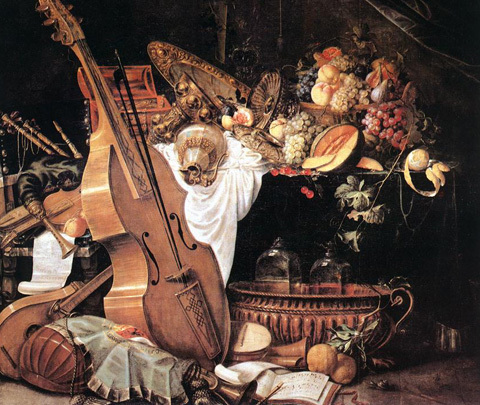 Back in May a fellow blogger, Frances Allitt, wrote on her blog Before the Art a piece about the tradition of ‘Vanitas’ depictions in Western Art History. It was illustrated with fine 16th and 17th century oil paintings similar to this example from the collection at the Rijksmuseum, Amsterdam. Towards the end of her post she uploaded her own ‘Vanitas’ photograph and invited her readers, us, to have a go too. So I thought I’d try some staging and shots and create my own Vanitas portrait. 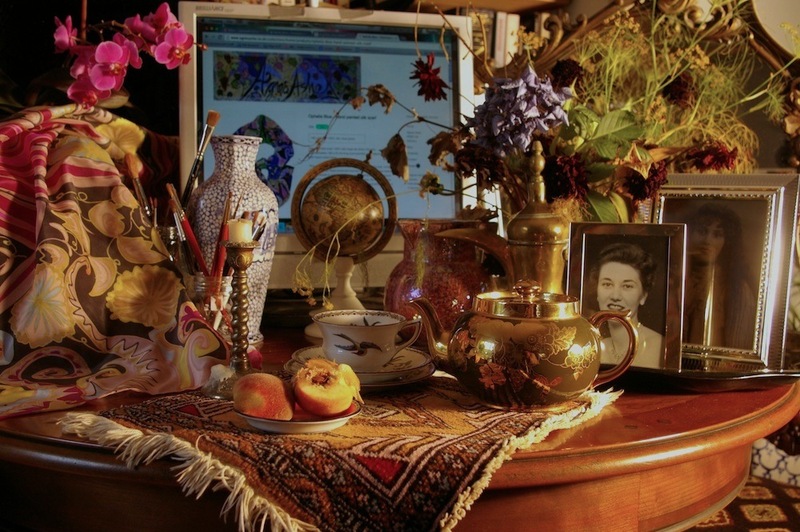 Of course some objects in the photograph are particular for my life, and other items displayed are those often found in a formal Vanitas painting. The dying flowers and the spent candle are symbols of the transience of life. The traditional memento mori image is a skull, but I’ve used an alternative image to signify death and corruption, the rotting peach. 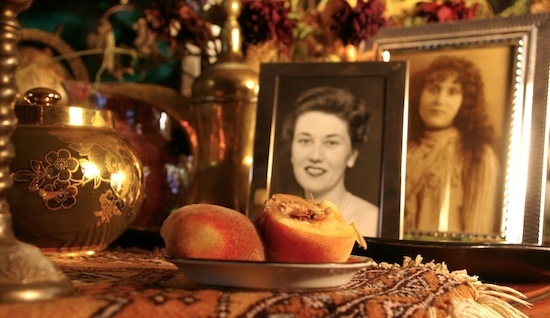 I have also included two photographic portraits one of my late mother and one of my great-grandmother. Both pictures were taken when they were young women. In this photo my great-grandmother was 18 years old and already suffering from pulmonary tuberculosis. She died when she 36 years old. 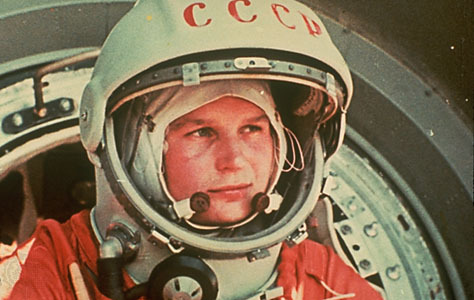 Sunday, 16th June 2013, marks the 50th anniversary of the first woman in space, Valentina Tereshkova. She was working in a textile factory with a passion for her hobby of parachuting when she was selected for the Soviet space programme. I don’t remember this world event, but I do remember watching the moon landings. 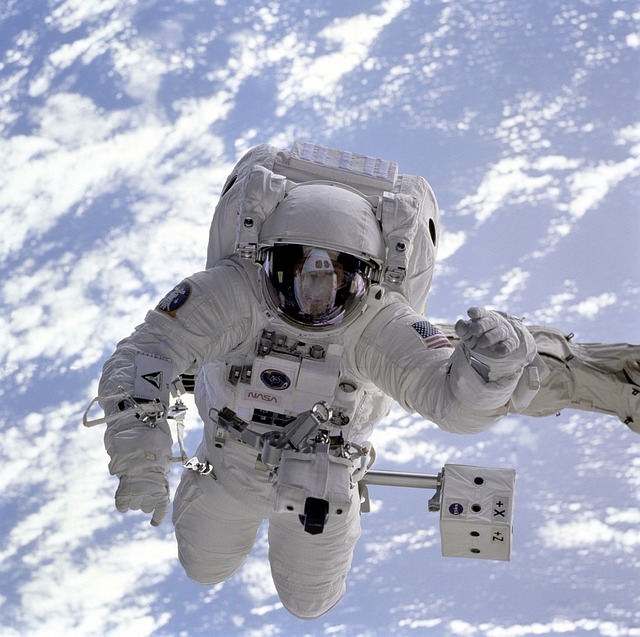 NASA Astronaut in full spacesuit. And, as a child of the space age I’ve been reminded of all that 1960s energy for the ultra, ultra modern, space-inspired fashions. There were strangely sculptured white outfits and various mini dresses of silver and white most notably by the French designers Courrèges and Ungaro, and the Spanish designer Paco Rabanne. I think zany was the word. Silver and white mini dress by Courrèges. Lauren Hutton in Space Age Silver – dress, tights & shoes. Oops there is a little person here looking up to space, but not too happy about being dressed up in head to toe silver twinkle. Fast forward a decade into the future and she will be a science fiction fan enjoying her A Level Physics Project – “From Black Holes to Wormholes”. Ah, the mysteries of life! School holidays, of course I remember long, hot days on the dunes and the beach, inventing intense and convoluted adventure dramas with my sister. We were pirates with oversized shirts and wellington boots, but I remember being more interested in action rather than costumes. We were lucky, we were left to our own devices whilst our father fished and our mother read or sketched. Okay, we didn’t have a sun-drenched, desert island as our backdrop, but the Suffolk coast in the late 1960s was a quiet, relatively empty place open to our imaginations. More recently my daughter has enjoyed being a pirate, but not at the seaside. 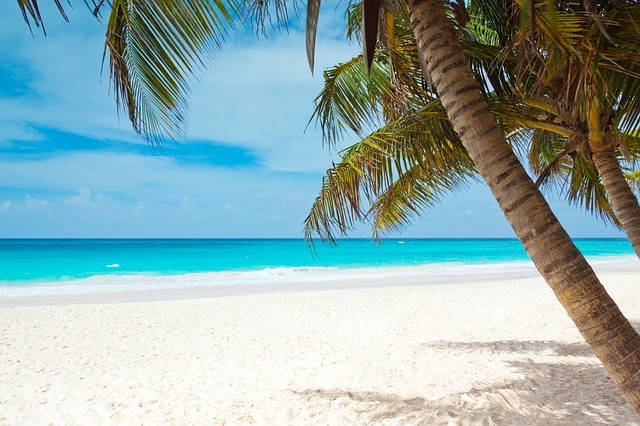 It has been ‘Pirate Parties’, particularly following the success of ‘The Pirates of the Caribbean’ films. 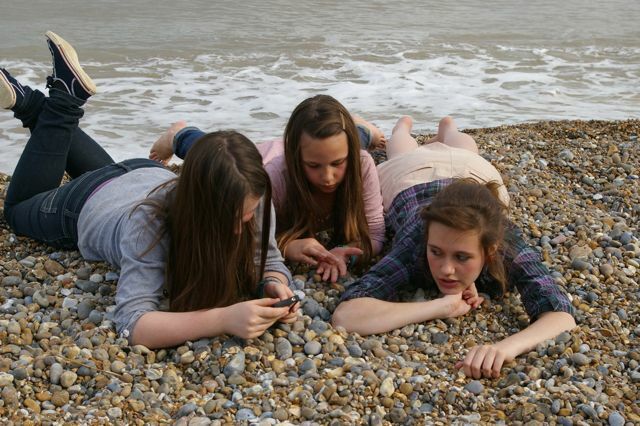 So, now, here we are on the Suffolk coast again in the 21st century. It is the school holidays again. What? Dressing up? Nah – just chill with the phone. The Three Graces . . . bored on the beach. Earlier this week I heard a fascinating and lively debate on a programme on BBC Radio4. * One thread of the discussion dynamically pursued the idea that everyday objects can be thought precious when imbued with intense personal significance for an individual. And, they didn’t just mean that crumpled ticket stub from the first date! 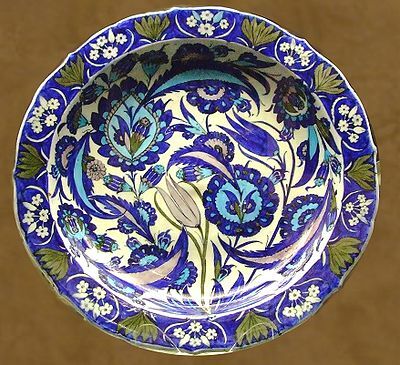 It was fascinating to think about how a commonplace item can trigger an emotional response in a similar way that a certain aroma evokes a poignant memory. I think it doesn’t even have to be a big, powerful memory attached to a commonplace object to momentarily flip you from the present to some other instance when you suddenly find yourself caught by the clarity of the object you have involuntarily brought into focus. 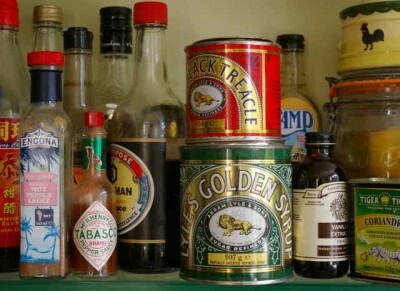 Recently for me it was a tin of Lyle’s Golden Syrup. 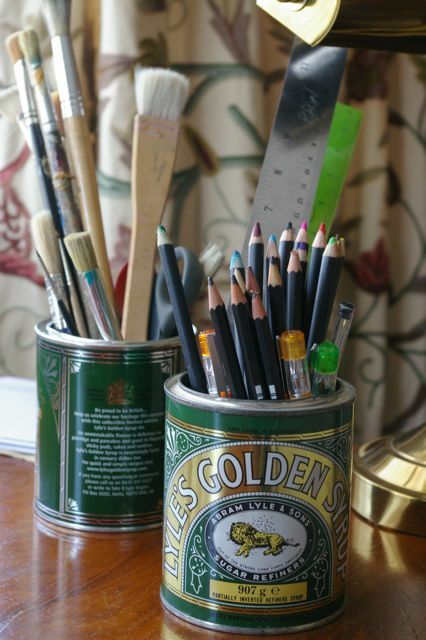 There’s always a tin on my kitchen shelf and several empty tins floating around my home filled with pens or paintbrushes or random office bits and bobs. The green and gold of the tin, the Victorian design and the Biblical quote together forming this remarkable brand that has remained virtually unchanged since the 1880s. And according to the Guinness Book of Records is the world’s oldest brand. 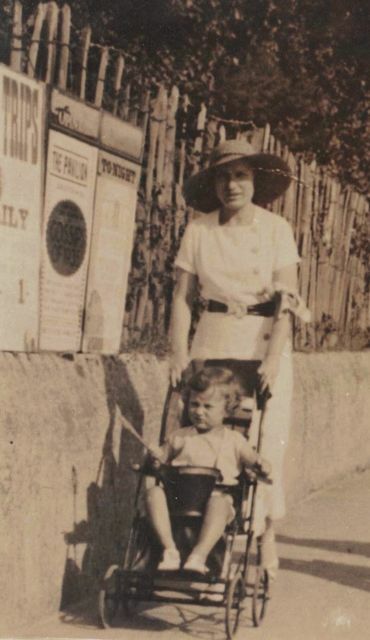 Nanna out for a Sunday walk with my father in 1935. But for me it means homemade treacle tart, very short, crumbly pastry and my exceedingly precise Nanna who was the queen of pastry making in our family. 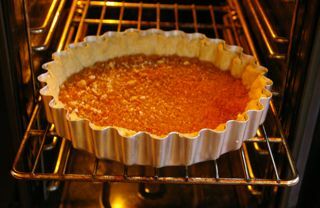 Treacle tart made with Lyle’s Golden Syrup 2013.